Kristallnacht sparked international outrage. It discred pro-Nazi movements in Europe and North America, leading to an eventual decline in their support. 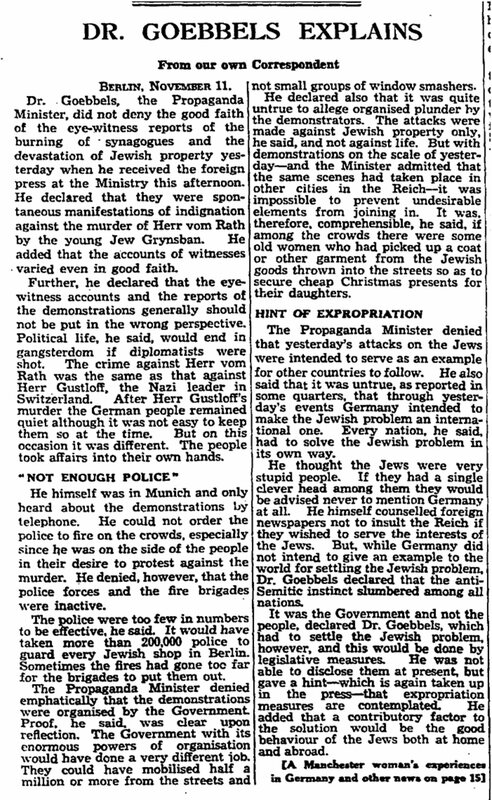 Many newspapers condemned Kristallnacht, with some of them comparing it to the murderous pogroms incited by Imperial Russia during the 1880s. The United States recalled its ambassador (but it did not break off diplomatic relations) while other governments severed diplomatic relations with Germany in protest. The British government approved the Kindertransport program for refugee children. As such, Kristallnacht also marked a turning point in relations between Nazi Germany and the rest of the world. The brutality of the pogrom, and the Nazi government's deliberate policy of encouraging the violence once it had begun, laid bare the repressive nature and widespread anti-Semitism entrenched in Germany. 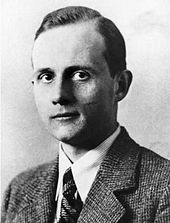 World opinion thus turned sharply against the Nazi regime, with some politicians calling for war. The private protest against the Germans following Kristallnacht was held on 6 December 1938. William Cooper, an Aboriginal Australian, led a delegation of the Australian Aboriginal League on a march through Melbourne to the German Consulate to deliver a petition which condemned the "cruel persecution of the Jewish people by the Nazi government of Germany". German officials refused to accept the tendered document.